Hello sweet friends!! It surely has been a hot minute since I've last posted on the blog and let me just say, I've missed you guys SO much! April has been a rough month with preparing for High School graduation, finishing an online class and packing for college. If you've been there, done that then I'm sure you know how stressful it can be hehe. Besides that, today's blog post is all about the one and only Nordstrom Spring Sale! 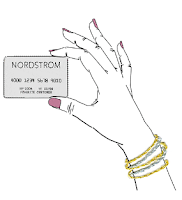 If you've been following my blog for sometime now, you'd know that Nordstrom is my second home. I love shopping at Nordys, but I especially love shopping when there are sales. Down below I'm sharing some of my top picks from the Spring Sale! Enjoy shopping, and Thank you for supporting my blog. I love you guys, and keep looking out for more content. XOXO!! PS: be sure to sign up for The Nordy Club Rewards to earn points on all your purchases + exclusive access to brands, and more! Hello sweet friends and welcome back to another blog post!! As many of you know, winter is slowly coming to a close which means spring is just around the corner! I have to admit, every season is very special to me, but there is no other season like spring when it comes to fashion/ trends. 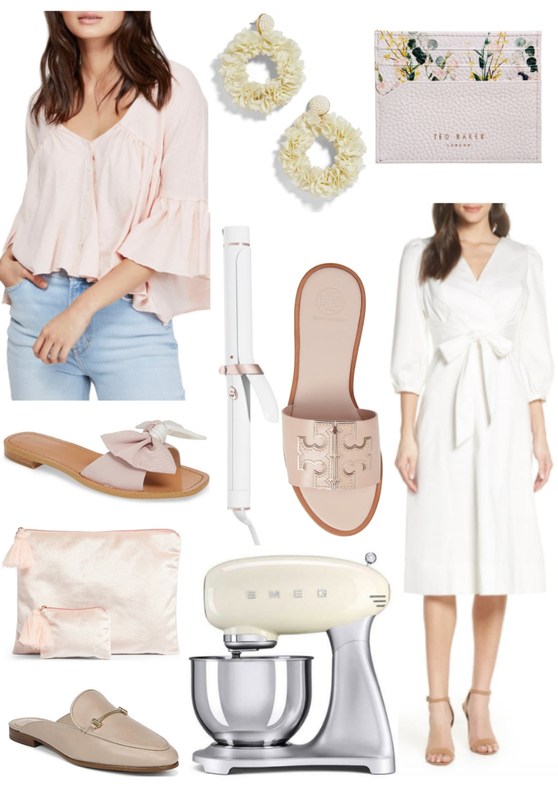 Recently, I've been on a major fashion hunt for all new trendy spring items such as pearl clips, pearl earrings, neutral toned sweaters/ dresses, and more. I found that all the beautiful spring pieces that I loved were at my #1 favorite store, Anthropologie. 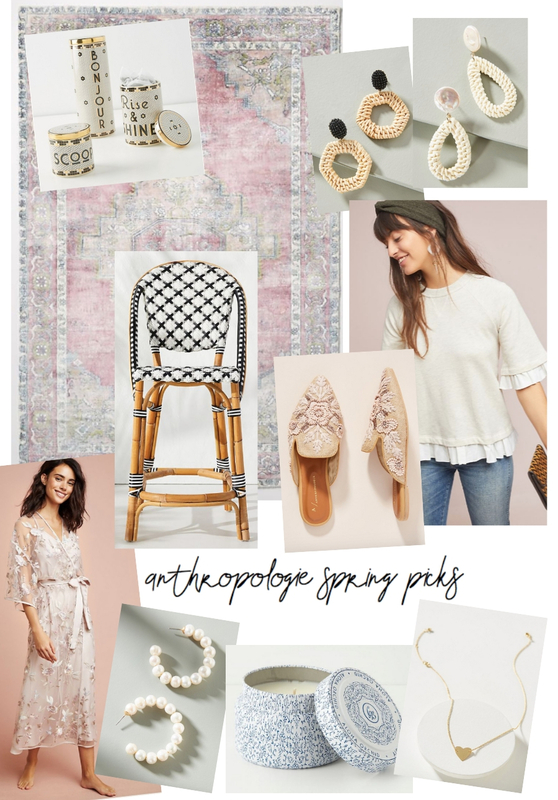 Today's post is going to be all about Anthropologie's spring picks that I absolutely adore. I can't wait to see more items pop up as we get closer to the month of May. I'm in love with all the upcoming trends and if you are interesting knowing about them, click the video HERE (SUPER inspiring and I love her channel). With that all being said, I hope you enjoy reading and get inspired to purchase some of these items for spring time! What was your favorite item?! Let me know in the comments!! Hello loves, and Happy Birthday to me!! Whenever my birthday comes around, I always get excited to decorate, pick out my birthday cake, and just plan (Trust me, I'm crazy about birthdays haha). I would have to say that this was the year where I truly went all out because it's my last year at home with my family before I go off to college in UNDER 6 months (It's going by so fast!) In honor of today being my Birthday, I thought I'd be fun to share with you my birthday photos AND tell you guys 18 facts about me for my 18th birthday. I'm so blessed to be able to celebrate with you all and truly hope you enjoy this post! Lots of love to you!! XOXO! I have always wanted a Naked Cake, and my dreams came true this birthday! This beautiful and decadent cake came from The Cupcakery. I absolutely love their cupcakes, and cakes - plus, they have such great customer service. If you are a local in Vegas, I HIGHLY recommend this place! 1. I am an actual shopaholic. Yes, it is bad. HAHA! I absolutely love shopping and if I could, I would do it every second of the day. Seeing new products makes my heart melt. 2. Ever since I was little my favorite snack/ food has been popcorn. Still, to this day it's my fav. 3. I'm a firm believer of having a hobby, and doing something that you love every single day. I have noticed throughout my 18 years that being able to just find something you enjoy makes you more independent, and happier. 4. I'm in love with literature and figurative language. This may sound silly, but I find it so beautiful to use figurative language/ analogies into life. Literature is EVERYTHING and so magical. 5. 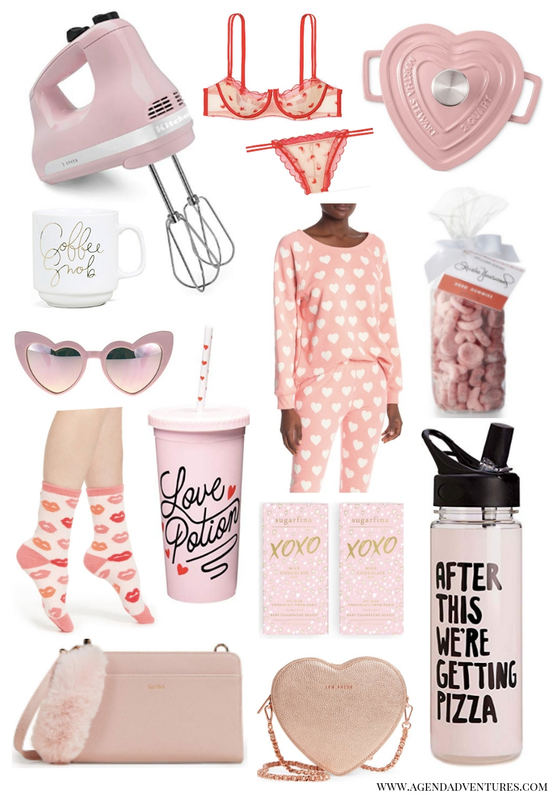 Believe it or not, I actually hated pink for awhile in my life, but then I started liking it again when I began blogging haha! 6. I am all about being cozy. 9/10 you will catch me in leggings and super comfy sweaters (my friends will even agree haha). 7. I have always been TERRIBLE at math. It just doesn't click with me! 8. I'm that type of girl who loves to make everything around me beautiful, so I guess you could call me a hopeless romantic haha. I enjoy the small things in life. 9. I have worked 4 jobs in my life which were: Baskin Robbins, Kumon (tutoring), Nothing Bundt Cakes, and William Sonoma. 10. I'm a full on dreamer. I have always been since I was a little girl. 11. I am a total nerd when it comes to Earth Science and LOVE talking about meteorology, and geology. 13. My biggest goal is to get a super cute Anthropologie apartment one day and decorate the crap out of it! 15. My top three favorite movies of all time are: The Holiday, 13 going on 30, and Legally Blonde! 16. 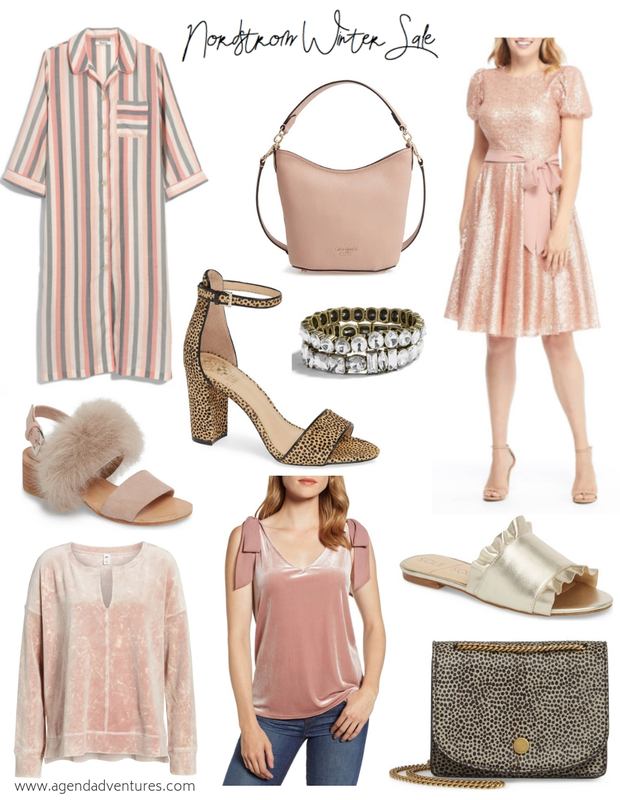 I'm obsessed with leopard print, blush pink, and gold! 18. My dream job is to work at Anthropologie one day! If you're anything like me, I love when stuff goes on sale because your girl loves to save some $$$!! 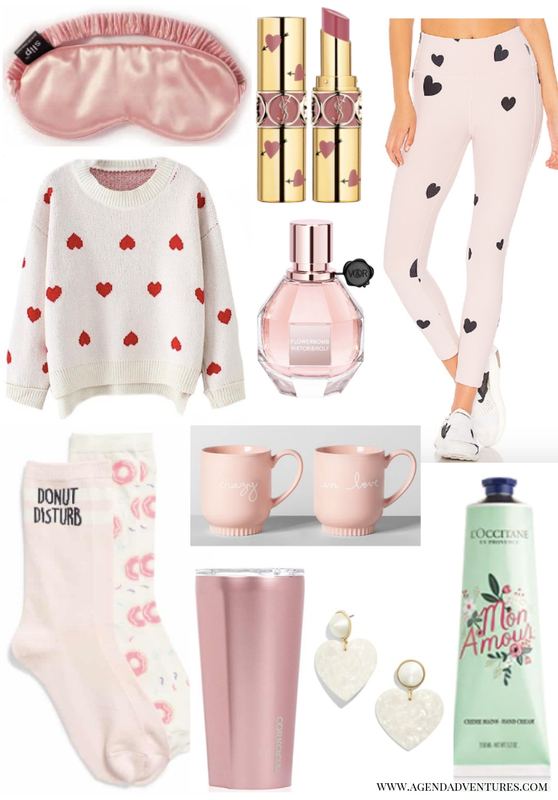 Recently, Nordstrom has announced their Winter sale and I immediately hopped on deck to find all the cute clothing, and accessories! Today on the blog I will be sharing all those finds with you! All the products are linked below and shop quickly before all the cute stuff is out of stock! Please enjoy and and get ready because I hope you like leopard print, pink and velvet (hehe)! !